As I look out my window today, piles of snow from the snowstorm earlier this week remind me that winter is not yet over. 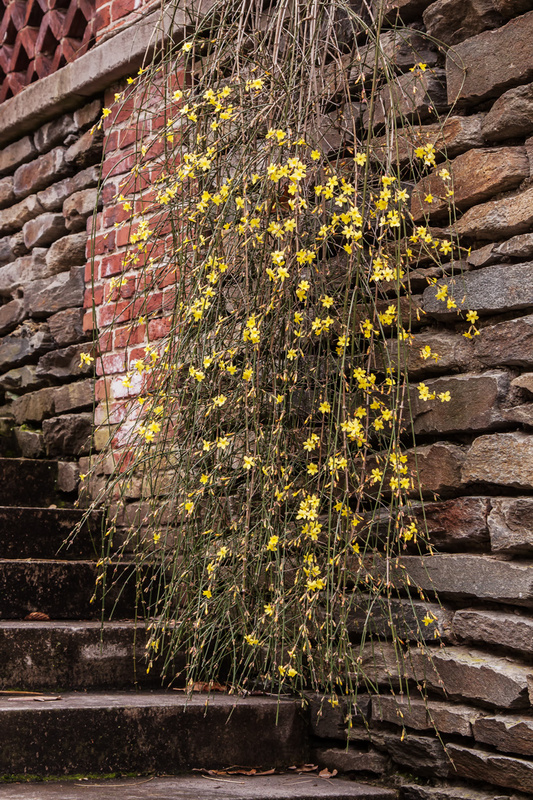 I discovered, however, that some plants are already in bloom (or almost in bloom) yesterday during a visit to Dumbarton Oaks, a historic museum, research center, and garden in Washington DC. 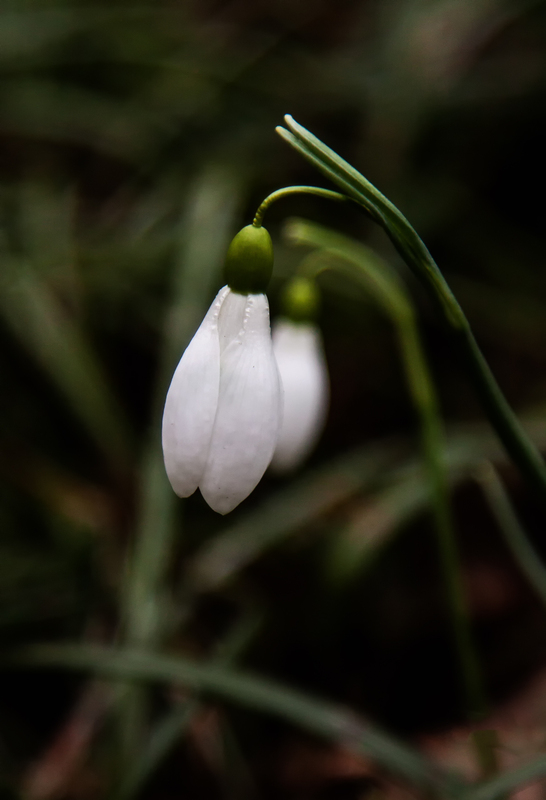 I am definitely not an expert when it comes to flowers, but if I had to guess, I’d say that the flower in the first image is a crocus, those in the second image are snowdrops, and those in the final image are forsythias. 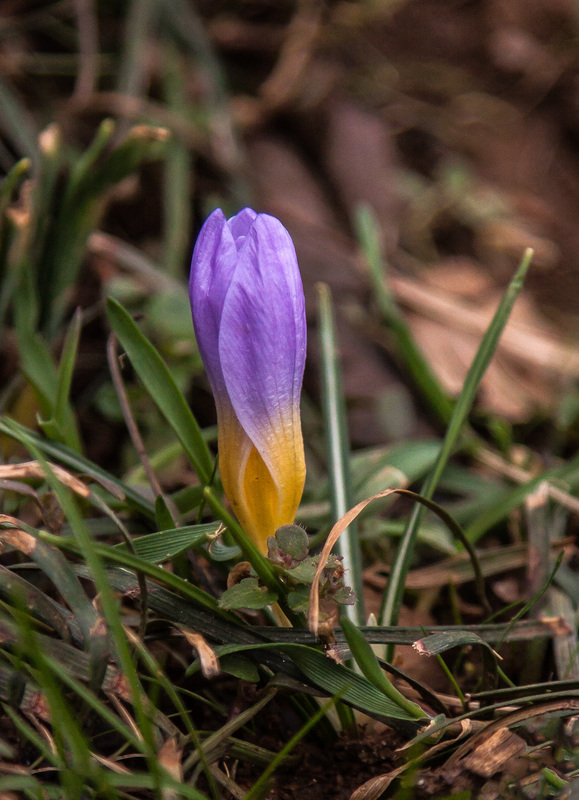 Even in I am incorrect in my identification, it was a real joy to see some colors and signs of life after so many long gray days this winter. I can’t wait for spring to arrive. 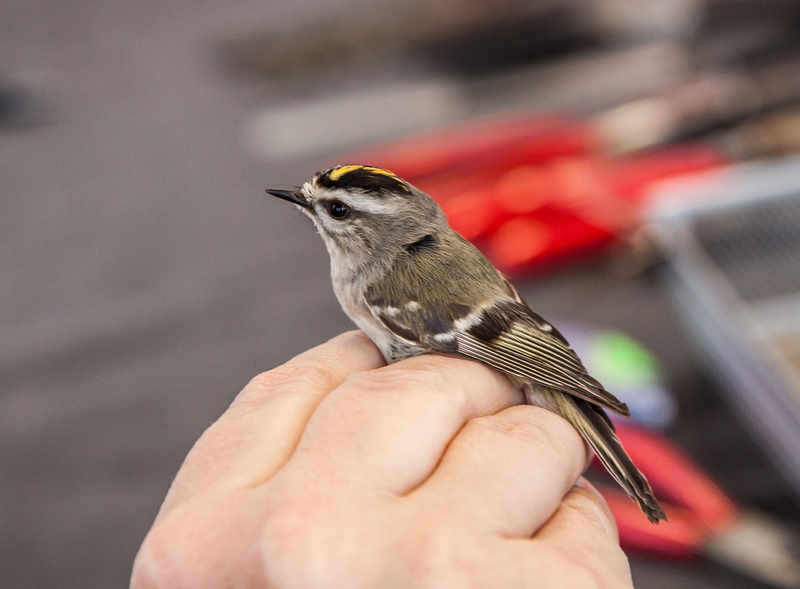 Last weekend I again visited the bird banding station at Occoquan Bay National Wildlife Refuge and was thrilled to see the friendly folks there process a pair of Golden-crowned Kinglets (Regulus satrapa), which are among the smallest birds in our area. 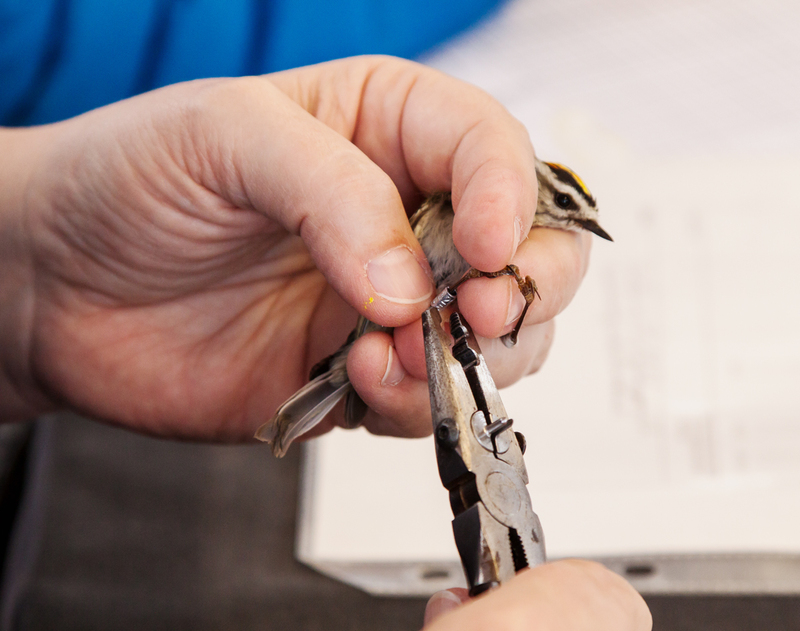 Bands come in all different sizes and kinglets require the absolutely smallest-sized bands. 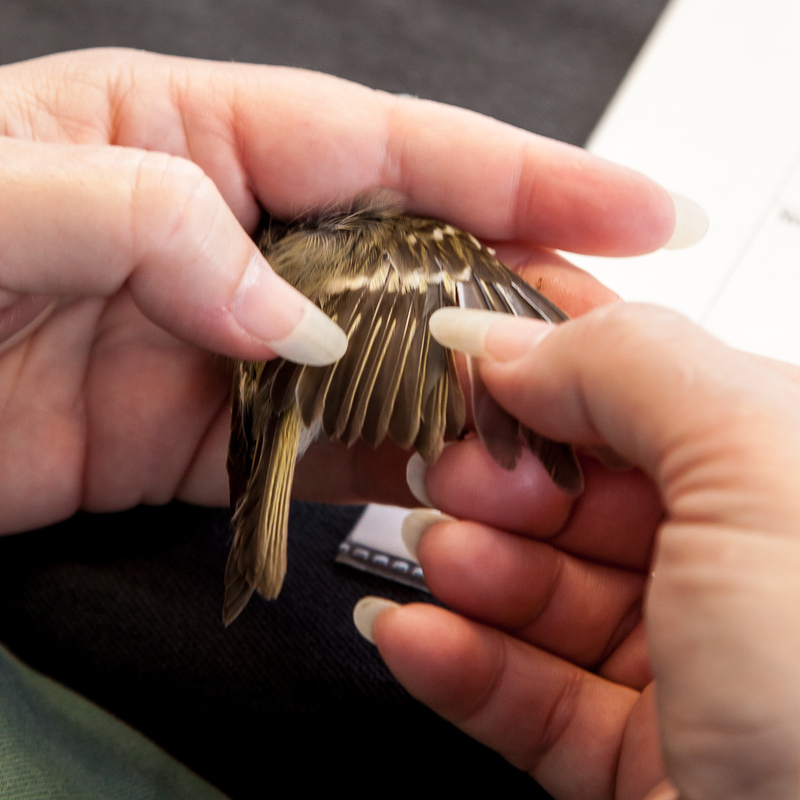 Here are some shots of the encounter including the initial processing of the bird; the actual banding of the bird (note its tiny legs); examination of the feathers of the bird; and the moment before the release of one of the little birds by a young visitor. 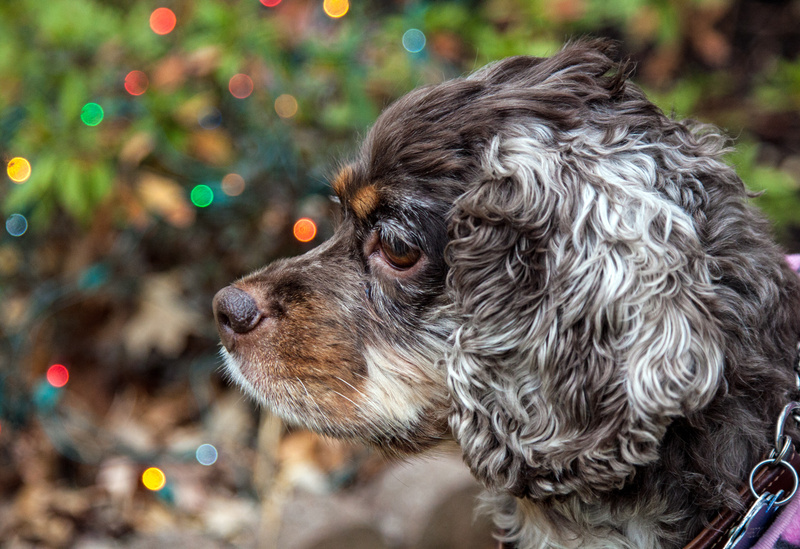 What was the first thing that you saw when you opened your eyes on Christmas Day? 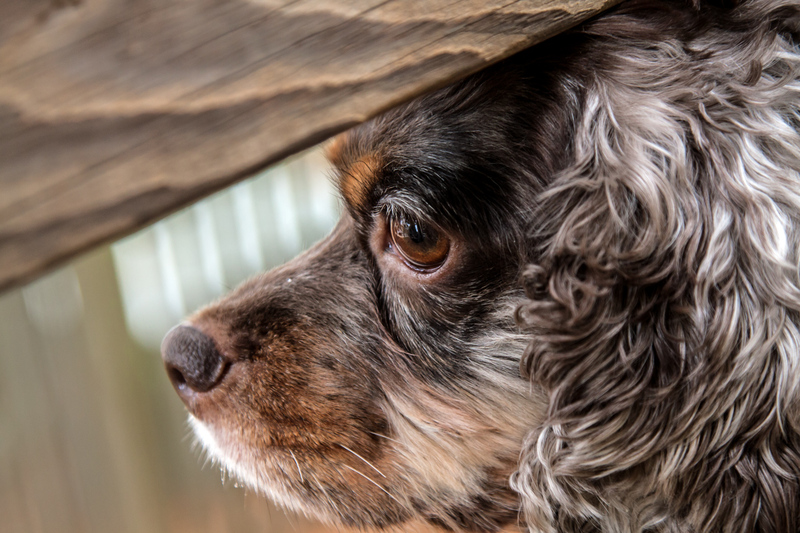 For me, it was the beautiful brown eyes of Freckles, the little Cocker Spaniel that is staying with me over the Christmas weekend while her owners are visiting family. Freckles lived in my house for over a year in the past, so she is totally comfortable with me and with my rabbit. 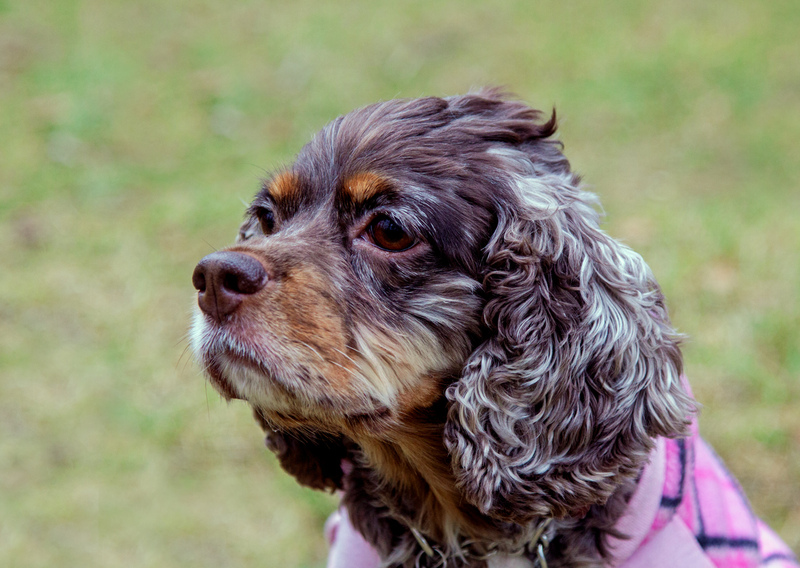 Freckles is amazingly photogenic—here are some shots of her from the last few days that highlight her soulful eyes. When you are confronted with a field of sunflowers, what’s the best way to photograph them? 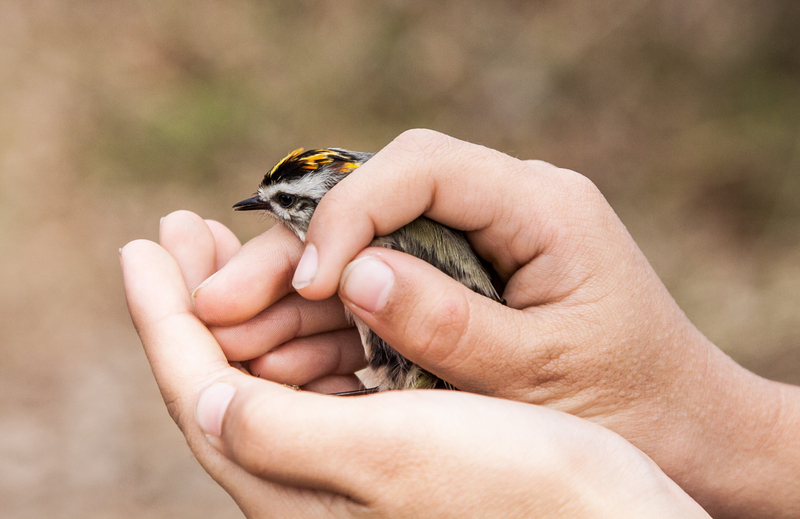 That was my challenge this past weekend at McKee-Beshers Wildlife Management Area in Poolesville, Maryland. Before I arrived, I though I would get a wide-angle view, filled with the bright yellows of the tall sunflowers. The reality was a little underwhelming, because the sunflowers had not grown very tall this year and many of them were past their prime. So instead of going wide, I decided to move in closer and try to capture some of the details of the sunflowers. 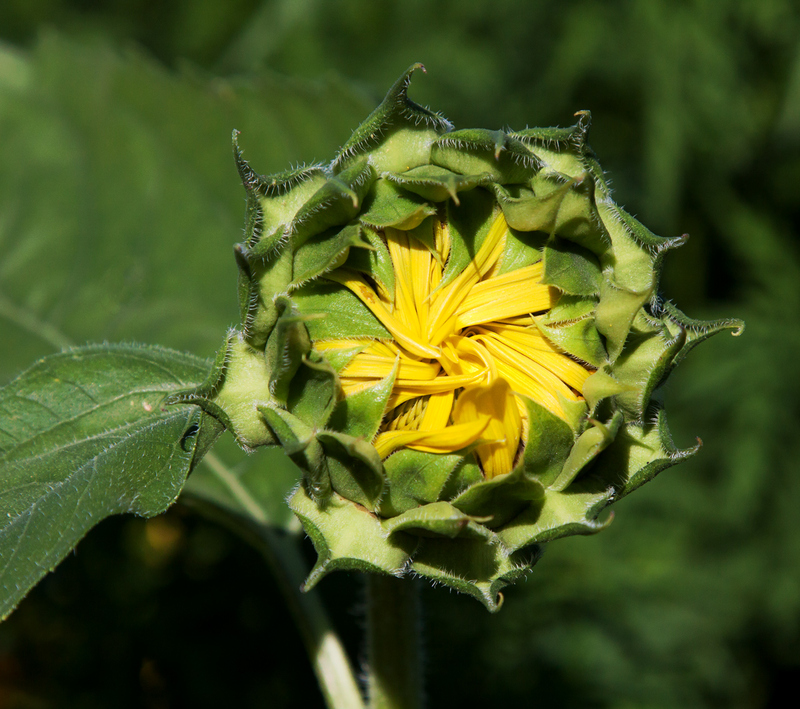 Here are a few images of single sunflowers in different stages of development. 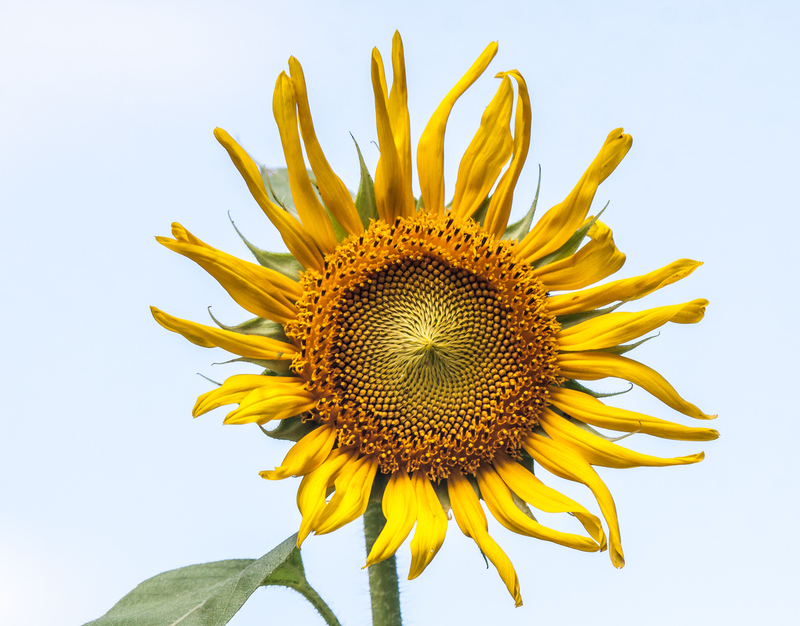 Some of the images are a little abstract and hopefully challenge readers to think beyond the normal shapes and colors that they associate with sunflowers. 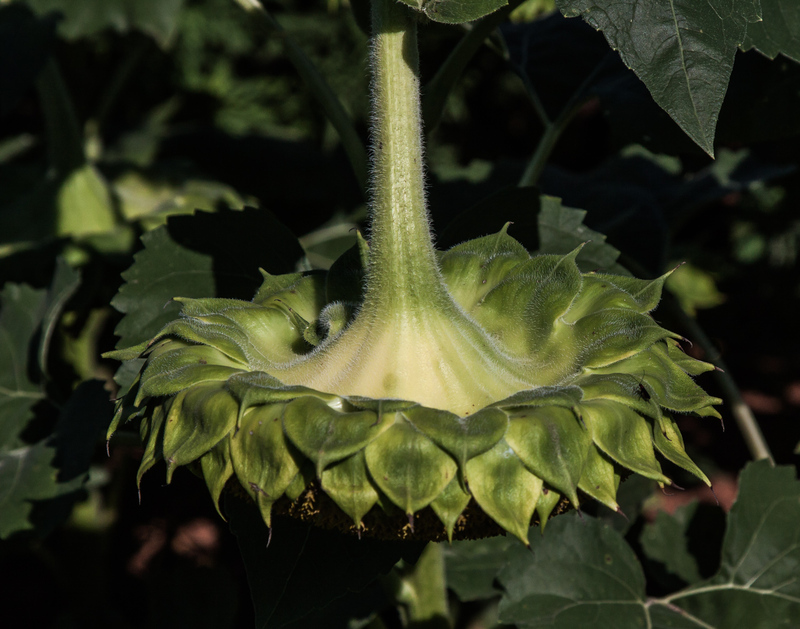 In the first sunflower field that we visited yesterday morning at McKee-Beshers Wildlife Management Area, many of the sunflowers were drooping because of the weight of their seeds. 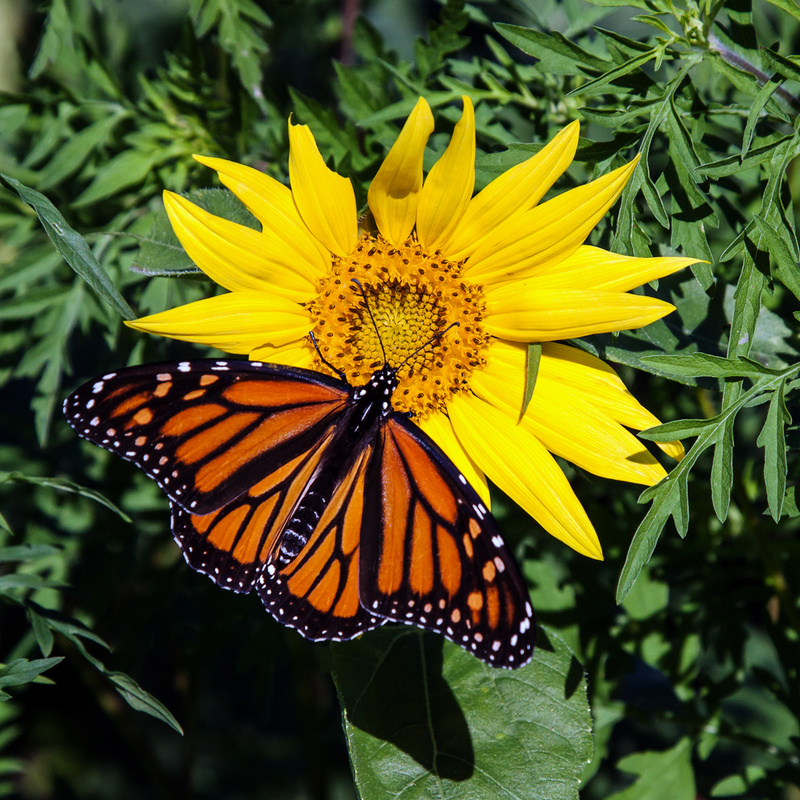 They may not have been very photogenic, but the birds and butterflies seemed to love them, like this Indigo Bunting (Passerina cyanea) and this Monarch butterfly (Danaus plexippus) that I spotted among the sunflowers. Several photographer friends and I made the trip to the sunflower fields in Poolesville, Maryland, hoping to see endless rows of tall sunflowers. 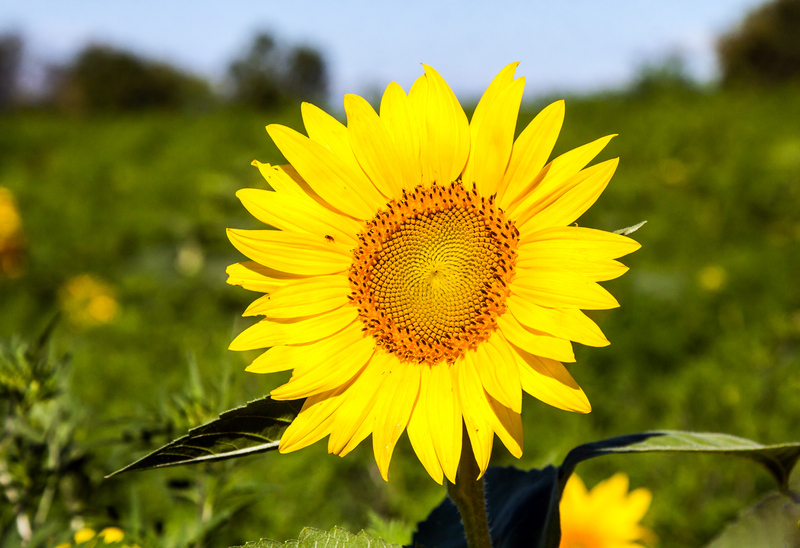 According to its website, McKee-Beshers has 30 acres of sunflowers planted in nine different fields. I think that the sunflowers may have been a little past their prime and appeared to be a little stunted in size, compared to some past years. It was tricky to figure out what kind of gear to bring on a trek like this. 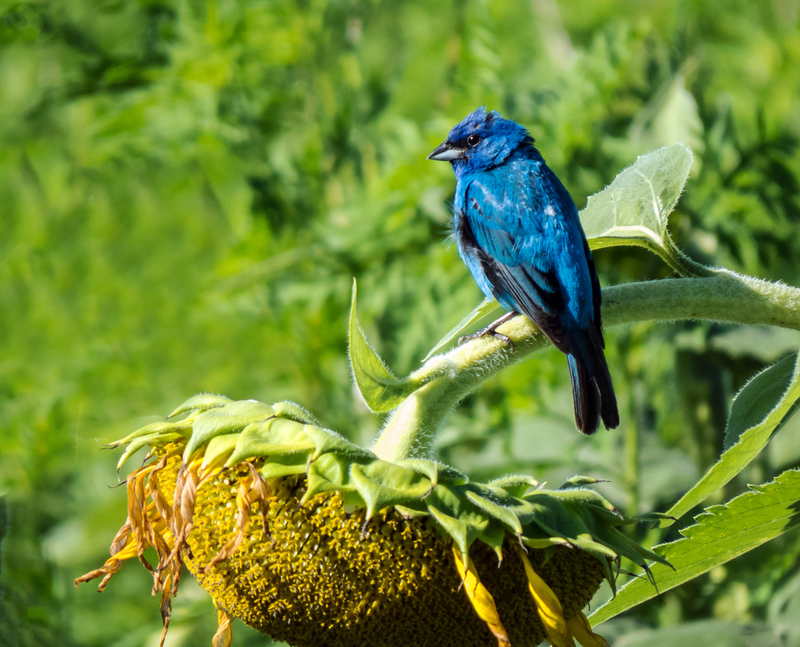 I ended up using my super zoom Canon SX50 to photograph the Indigo Bunting, which was a first sighting for me of this beautiful bird, and my Canon 24-105mm lens on my normal Canon 50D DSLR for the butterfly. I had both of the cameras with me at all times, which gave me a pretty good amount of flexibility. I’ve seen some photographers walk around with two DSLR bodies, but that seems like a lot of weight to carry around, especially when you are moving through vegetation as I was doing as I waded through the rows of sunflowers. I did take shot shots of the sunflowers and I’ll post some of them eventually. 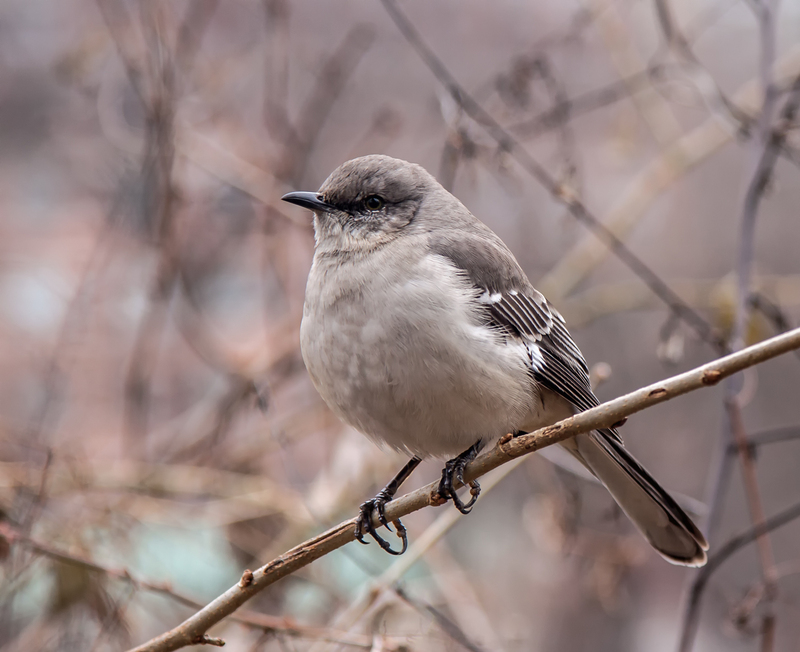 Folks who know me, though, are probably not surprised that my first instinct was to post images of birds and butterflies, rather than ones of the flowers alone. Last weekend when I was staying outside of Roanoke for a wedding, I had the chance to walk a few miles of the Appalachian Trail. It was pretty awesome—now I have only about 2178 more miles to go to complete it. 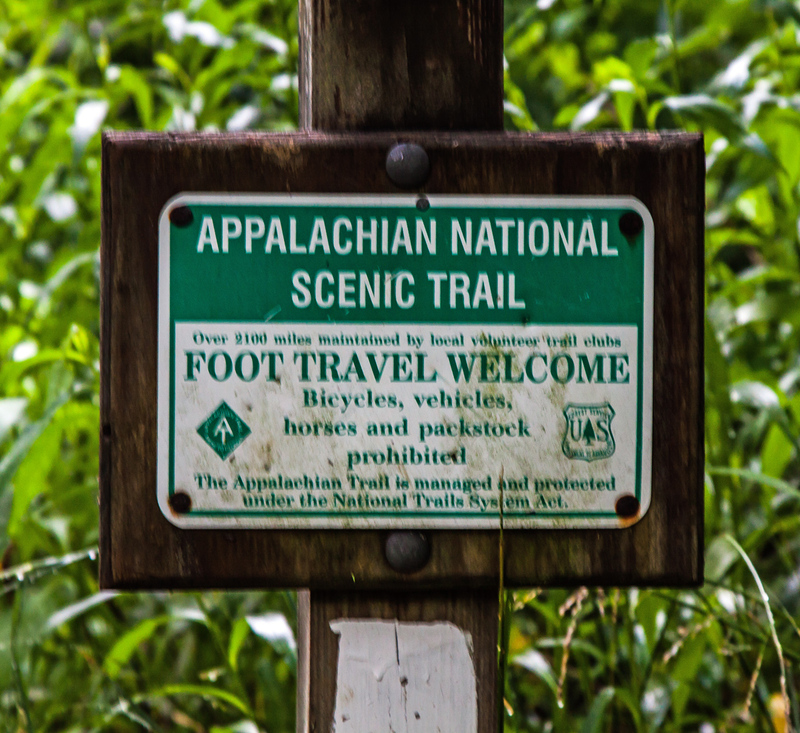 Like most people, I had heard about the Appalachian Trail, but didn’t know much about it. Somehow I imagined that it was about as wide as a jeep and relatively smooth. My brief hike on the trail dispelled those notions. 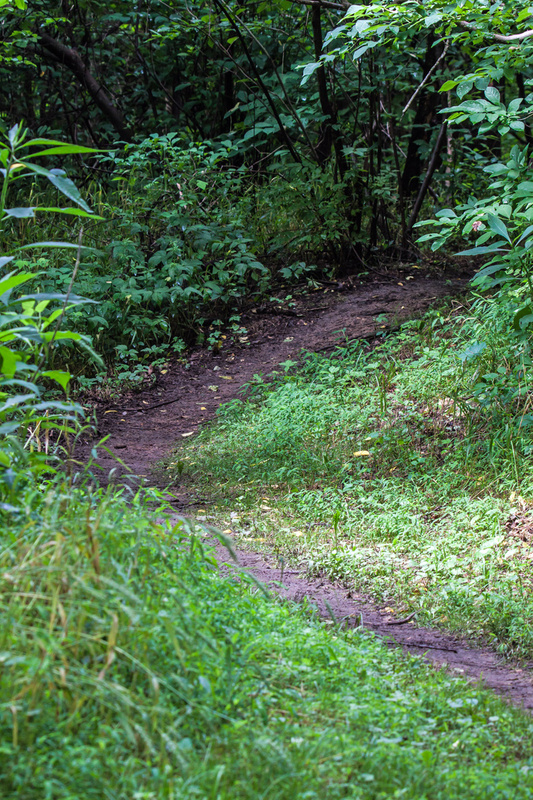 The trail is narrow, muddy, and steep, at least in those parts where I was walking. 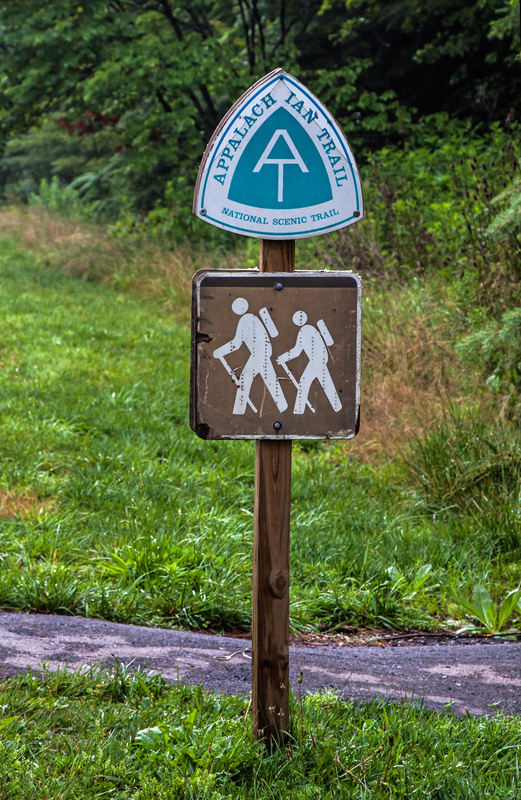 I encountered the trail in Troutville, Virginia, a small town that is designated as an Appalachian Trail Community, where hikers can resupply along the way. 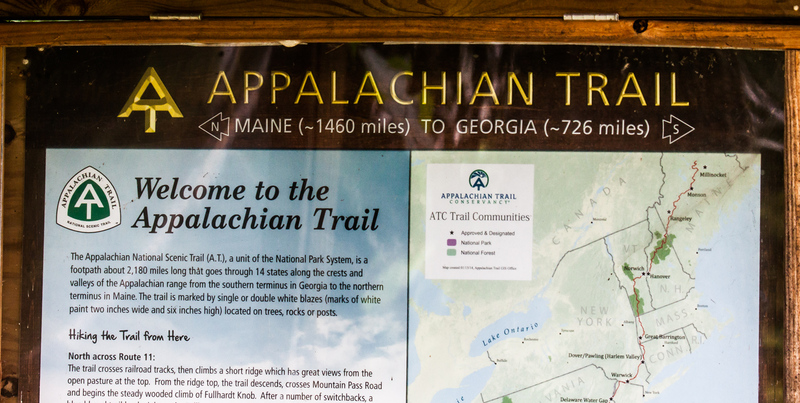 Troutville marks a point on the trail where thru-hikers, those trying to complete the entire trail in a single year, will have completed about a third of the trail, assuming they started in Georgia. It’s pretty exciting to think about hiking a 2200 mile trail, but it requires a lot of planning, training, and commitment. Generally thru-hikers spent five to seven months hiking on the trail, and quite a few people drop out along the way for many different reasons. 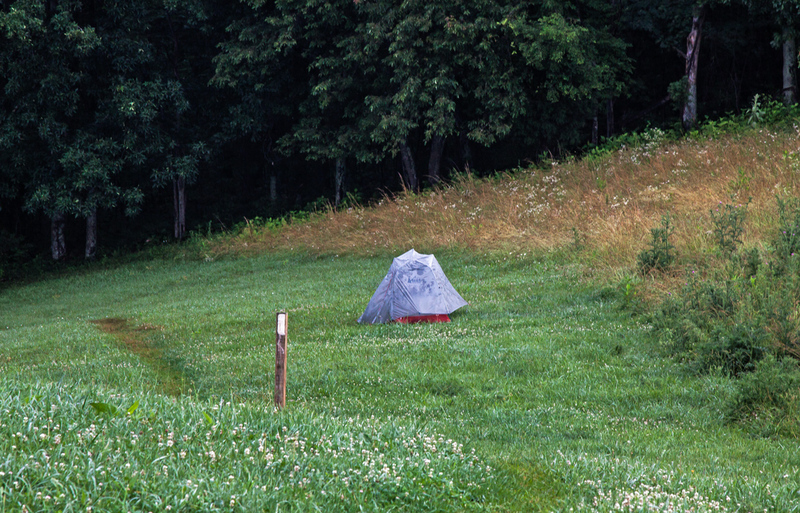 As I climbed a hill and came to a meadow, I noticed this small tent. Apparently a hiker decided this was a good spot to spend the night. You can see part of the trail, which is marked with white “blazes,” like the one on the wooden post. 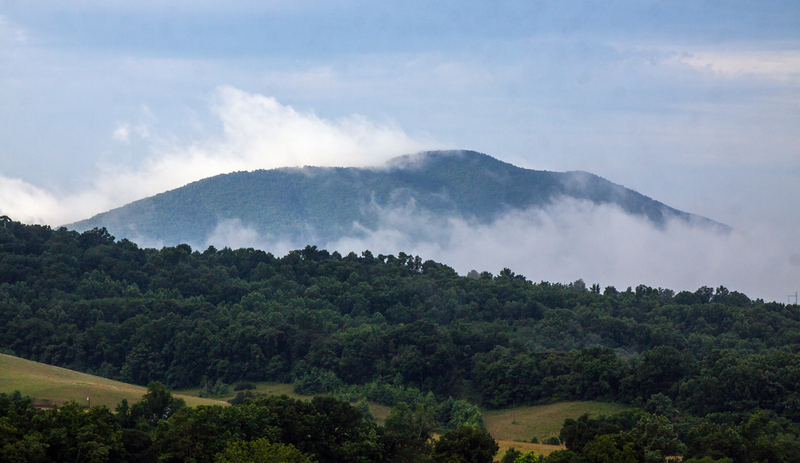 This was the scenic view from the top of one of several hills that I climbed during my short stint on the trail.